As it stands few patient’s of national/multinational companies have access to DPC as a covered benefit. Certainly, anyone within reasonable proximity to a DPC practice can individually enroll, but when many employees face wage stagnation and crippling premiums and deductibles, it would stand to reason that DPC would be a wise fit within the scope of their health care benefits. Yet at present, there are many barriers preventing DPC from being a covered benefit for employees. From the company side, coordinating with multiple, heterogeneous practices across the country for a standard benefit package appears an insurmountable if not impossible challenge. Added to that, many brokers have been slow if not unwilling to adopt DPC given its novelty and (apparent) lack of direct commission for signing patients up for practice membership. From the practice side, many companies have been used to if not insistent on quality metrics provided by insurance companies or third party administrators to provide some sense of value for their health care dollars–real or imagined. Consequently, many DPC practices have been loathe if not unwilling to negotiate with companies asking them to essentially jump on the same bandwagon they just jumped off. In this episode, Dr Scott Conard, family physician, concierge doctor and health care consultant, discusses how companies and DPC doctors can form new connections that could allow them to come to a mutually agreeable relationship. While not for every DPC doctor, Dr Conard emphasizes, railroads between large, Fortune 500 companies and DPC practices could give practices the fuel to grow with more certainty while allowing employers to provide employees high-quality primary care, lower their overall health care spend and improve the value of money they spend on benefits. [5:23] How Dr Conard went from being a solo family doctor to working with large employers? [10:06] Dr Conard’s experience working in a high quality primary care practice that shut down its cost saving measures when bought by the hospital. [13:37] What are some of the challenges from the company stand point when working with DPC doctors? [20:02] From the doctor standpoint, what are some of the challenges DPC doctors have when exploring a partnership with large companies? [24:22] How can a DPC practice work with third parties and not get taken advantage of by middle men? 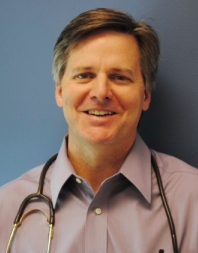 Dr Scott Conard is a family physician and health care consultant. He started his career as a family doctor in Irving, TX, eventually growing his practice to 13 doctors. He then started a health literacy program for corporations called the Game of Health, which led to him serving as the Chief Medical Officer for Holmes Murphy. He now serves as a concierge physician and consults with large companies on how to improve the health of their workforce and how to improve the value of their health care.